DAVID LE/Staff photo. 7/24/15. 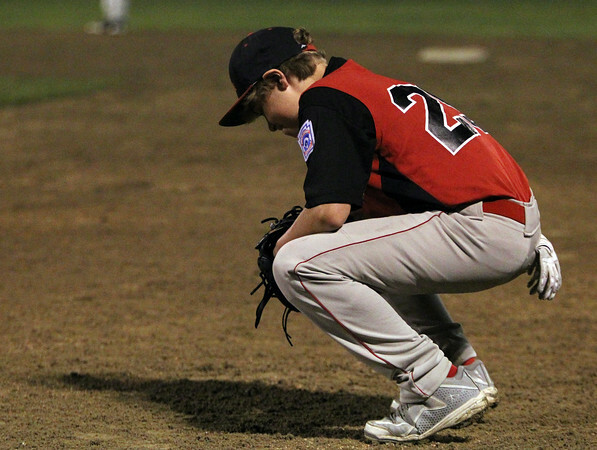 Salem first baseman Jake Miano kneels over in frustration after Andover's Stephen Ingram launched a 3-run homer in the top of the 6th inning of a scoreless game.